I should really schedule posts more often it's nice to have a day off, without having a day off. I've been having a tough time of it recently, I finally came across a pattern that I did not understand (In my defense it's pattern is written bloody stupidly) In light of that I think when this blog gets to ribbing patterns I will likely only do the basics, and then skip ahead in the book; purely because some of the patterns are very difficult/confusingly written/you have to know how to do other things first. 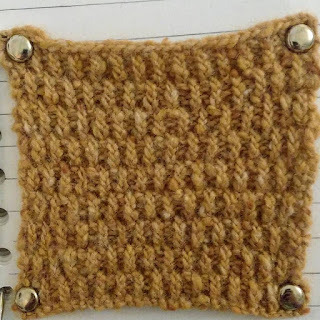 It may make sense for me to go straight to the slip stitch patterns because again some of the colour (yes colour has a u in it I'm british) work patterns require knowledge from later in the book. I was thinking of doing colour work last because it's fun, pretty, and will be much more enjoyable once we know what we're doing. Right todays stitch Twisted Check, it's sort of similar to yesterdays stitch Swedish Check; I personally think it's the less attractive of the two, but it is by no means ugly. Like its pretty cousin it's got a tweedy look, again enhanced by the nice lumpy hand-dyed cashmere. 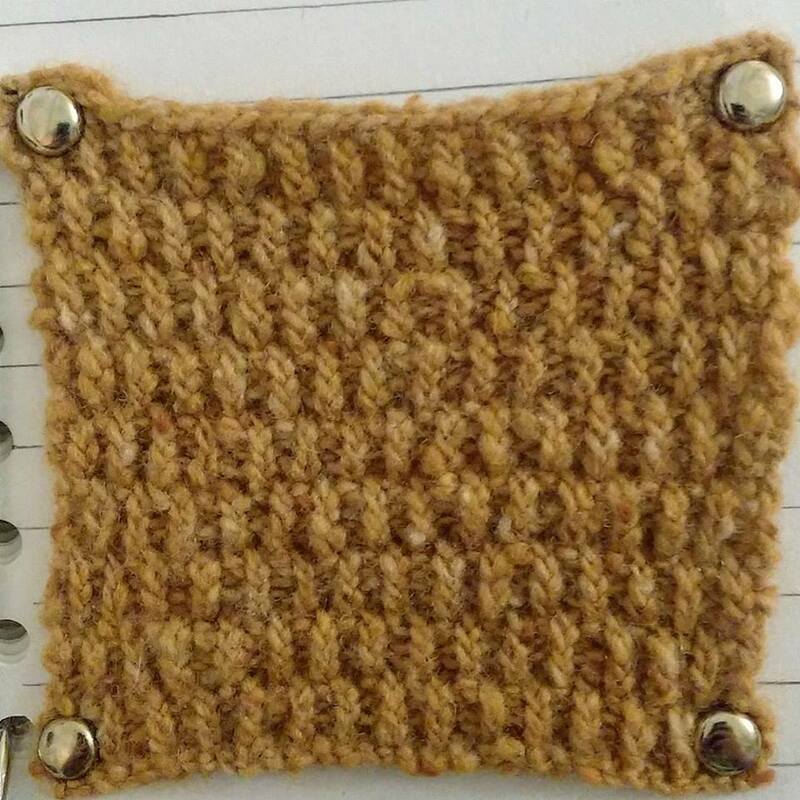 It does, however, take longer to knit up on account of all the twisted stitches and constant switching between knit and purl positions, (Just like broken rib patterns) as unlike swedish check you switch positions every stitch rather than every other stitch. The fabric tends to pull in thanks to the twisted stitches, so it's a pretty dense check. We're pretty far into the check patterns now, they're all very nice though so I'm not complaining. At least they don't take half as long as some of the broken rib patterns. Next post is another check pattern although I'm not sure how I feel about it, it's easy but it looks pretty... Meh compared to Swedish and Twisted Check. Happy Knitting!